SAN FRANCISCO–(BUSINESS WIRE)–Jun. 16, 2016– Visa Inc. (NYSE:V) today announced a series of initiatives to help accelerate EMV chip migration for merchants. Visa has streamlined its testing requirements, amended and simplified the terminal certification process, and committed to investing further resources and technical expertise in a manner that can reduce timeframes by as much as 50 percent. Visa is also making policy changes to help limit exposure to counterfeit fraud liability for merchants who are not yet chip-ready. About Visa Inc.: Visa Inc. (NYSE:V) is a global payments technology company that connects consumers, businesses, financial institutions and governments in more than 200 countries and territories to fast, secure and reliable electronic payments. We operate one of the world’s most advanced processing networks — VisaNet — that is capable of handling more than 65,000 transaction messages a second, with fraud protection for consumers and assured payment for merchants. 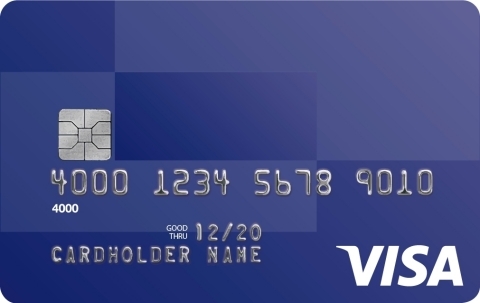 Visa is not a bank and does not issue cards, extend credit or set rates and fees for consumers. Visa’s innovations, however, enable its financial institution customers to offer consumers more choices: pay now with debit, pay ahead of time with prepaid or pay later with credit products. For more information, visit usa.visa.com/about-visa, visacorporate.tumblr.com and @VisaNews. This entry was posted in EMV, Equipment-POS, industry news and tagged EMV chip, EMV terminal, visa by Christine Speedy. Bookmark the permalink.